← What a year…ops, clots, website and yarn! All the winter stock from Bergere de France is now here and the new Creations 12/13 Magazine is giving me plenty of inspiration for my winter wardrobe!…..Too much inspiration if anything!! Bergere de France have for many years popped up in the knitting magazines with the most beautiful designs and more recently, they have really grown in the UK. The choice of yarns is vast, ranging from some beautiful natural fibre yarns to premium quality man-made fibres, they have a range called ‘Origin‘ which is their premium range and consists of some fabulous fibres from pure silk to milk protein! In their standard range they have a good selection of natural fibre yarns and fashion yarns, ‘Duvetine’ is completely man-made but has a very premium quality feel and at just £3.00 a ball, it’s purse friendly too!. My ethos has always been to source premium quality natural fibres and source products which support fair trade and crafts persons across the world. I wrestled a little with my ethos to allow me to stock Duvetine because it has no natural fibres in it all! I won and my ethos although battered, now agrees with me. Even though it is man-made, the premium quality of the yarn does actually fit very well alongside the rest of my products. Some of the other yarns from the Bergere de France range we stock are so divine, Plume is softer than you can ever imagine, it really does have a feather like feel. The olive green colour is so rich, it’s hot on the catwalks for the winter season and a definate on my to do list! Certainly one of the major bonuses with the Bergere de France pattern booklets are the sheer number of patterns! The magazines cater for men, women, boys and girls up to 16 years of age and the cutest baby garments! You really do get amazing value for money at just £7.50! As a company, Bergere are fabulous to deal with from a retailers point of view. 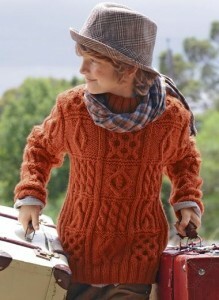 If there is a particular yarn that a pattern requires that I don’t stock, I know I can have it here within a week. I love the fact that they also carry a lot of Lantern Moon too. I have ordered directly from Lantern Moon but as always, minimum quantities, shipping and customs do mean that it’s not always the cheapest option! I’ve got a Lantern Moon delivery tomorrow so look out for new products on the website!! A little bit about me….put it this way, I’m better than I was! I’m still breathing which is always a bonus. I am very tired and still very breathless so I do think it will be a while before I’m back to being myself but at least I have all my lovely yarn and my lovely customers to keep me going! I’m looking forward to the deliveries from Designer Yarns, hopefully next week…..I’ve held off taking their delivery this week, there’s a lot to come and I’ll need to save up a bit of energy!…..When I recover from unpacking it all, I’ll be blogging about that too!! 5 Responses to Bergere de France……planning my winter wardrobe! I really like the sweater on the bottom right, the cream coloured one. Was that pattern included? Yes, the sweater on the bottom right is in the latest Bergere Creations 12/13. 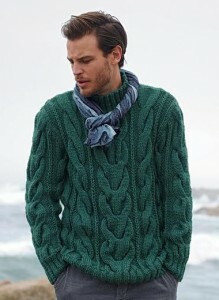 It is knitted in Eclair. Gorgeous isn’t it! I have this magazine! It`s wonderful!